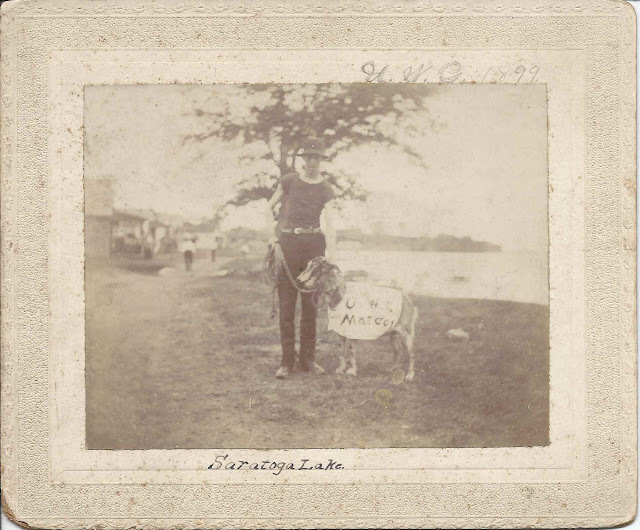 Two photographs dated 1899 that constitute a mystery waiting for a reader to solve. 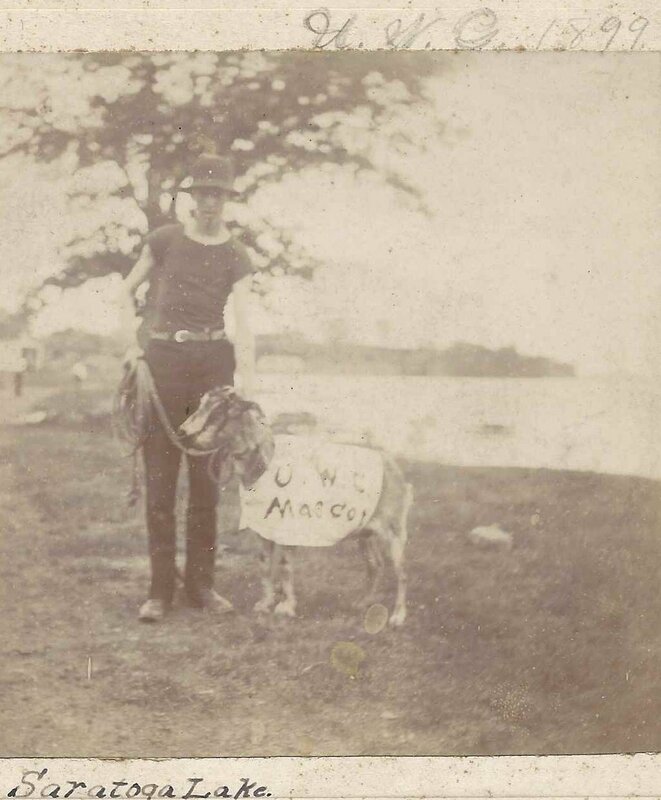 The photograph above shows a man leading a goat bearing a blanket that reads U. W. C. Mascot. 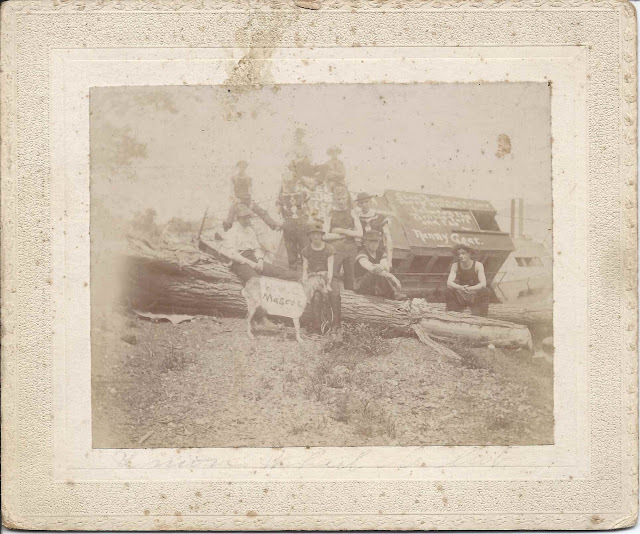 The other photograph shows a larger group, with an interesting sign. 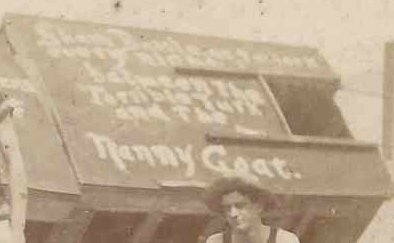 The sign advertises nightly shows "between the Terrible Turk and the Nanny Goat." Hopefully a Saratoga Lake historian will happen by and leave a comment that solves the mystery of the Nanny Goat.